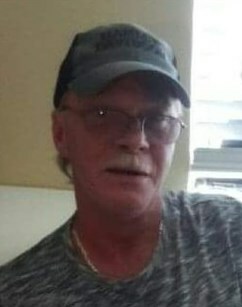 Richard Allen Bray- Age 55, passed away unexpectedly on Monday, October 29, 2018. He is preceded in death by his parents, Robert and Carol Bray; siblings, Roger and Bobby Bray, and Patty Bray. He is survived by his companion of 8 years, Terri Hunter; children, William Colwell, Damien Bray, Brandon Fox and Richard Fitzgerald; grandchildren, Amiya, Adalyn, William Jr., Grayson, and Ashlyn; siblings, Russell, Ronnie, and Margaret; and a host of extended family members. A Celebration of Life will be held on Saturday, November 3, 2018, at 10:00am, at West Harpeth Funeral Home with interment to follow at Harpeth Hills Memory Gardens. Family and friends will serve as pallbearers. Visitation will be held on Friday from 12:00pm until 8:00pm, and on Saturday from 9:00am until the service time at 10:00am at West Harpeth Funeral Home. I’ve known Richard and his family for all my life and he will be dearly missed. My love and prayers for his family. May God give them all peace, comfort, and strength at their time of sorrow.. Love them all! My prayers for the whole family. My husband (snowalker) knew Richard from online games they played together. We send our deepest sympathy to his family as they mourn his passing. May our merciful Lord comfort and strengthen you in the days ahead. I can’t believe this my old brother I love my brother always you always made me smile. Praying 😢❤️Love you man.